Getting a cheap Grow Tent isn’t always the best option. In fact, if you can afford to purchase a more expensive one, then I definitely recommend it. You are just not going to get the same level of quality when it comes to being lightproof and spill proof and you’re going to miss out on a lot of features which you might otherwise take for granted. Materials will also be cheaper, and you’ll end up having to spend more when it comes to running costs. This is especially true when it comes to the inner reflective coating which most grown tents come equipped with. This being said, there are still some fairly cheap Grow Tents available on the market which do a surprisingly good job at making sure your plants will thrive to the best of their ability. Here is a list of five of them, all of which will cost you under $100 for reasonable space and quality. 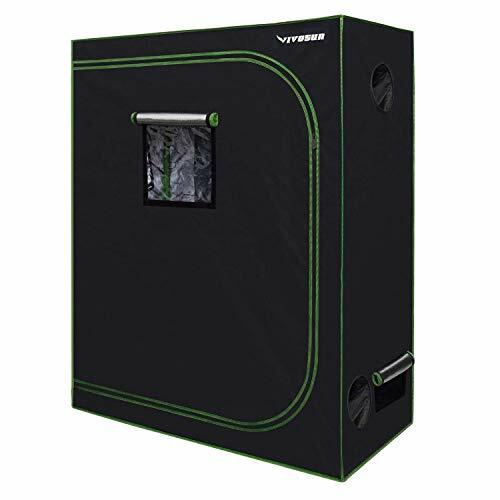 The Yaheetech Hydroponic 24"x24"x48" is the cheapest Grow Tent on this list and a great little Grow Tent overall. I have previously talked about it before. It is actually one of the best Grow Tents available for its size. This is not only because it makes use of good materials, but it also ends with a pretty good result for your plants. As I have said before, this is one of the best options for small needs farmers’ needs. Don’t let the price put you off this one, it will get your pretty far. One gripe, however, might be that this is smaller than some of the other options on this list. However, for under $100, you are not going to be able to get much bigger than this, and it’s only going to cost you more money. The three bottom rectangle mesh air vents with light-proof covers mean that you will lose a very small amount of light and the reinforced corners with sewn-in edges provide overall extra protection from pests. If you’re looking for the cheapest Grow Tent, then this is it. 2. AV Prime Inc. 48"x24"x60"
The AV Prime Inc. 48"x24"x60" makes use of 100% highly reflective and waterproof diamond mylar material. This means that you’re going to get the most out of your Grow Tent lighting source, whilst still making sure your system is protected from leakages. The kit comes in a slightly longer than wider size similar to the Voilamart 32"x18"x32", which means you’re also dealing with a more irregular rectangular shape. However, whilst the Voilamart above is smaller, which can lead to problems with light dispersion, the AV Prime Inc. 48"x24"x60" is much larger, which means light will have more room to fill the chamber. Overall, if you’re still wanting the rectangular shape, but want something bigger, this is a really good option. The ECO-WORTHY 32"X32"X63" is about the same price as the AV Prime Inc. It also has the same general quality and features. The difference between the two is the shape. If you’re looking for the more standard square size, then the Eco-worthy is a better option. I always prefer to use square options as light dispersion is much better. However, space constraints might mean that you need to go with the AV Prime Inc.’s less standard shape. I have talked about the VIVOSUN Horticulture 48"x24"x60" before. It’s one of the bigger options on this list and is closer to the $ 100 budget than the others. However, if you’re looking to put together some cheap Grow Tent kits, then this is probably one of your best options. This is because Vivosun provides a range of other equipment and accessories for Grow Tents and hydroponic farming. 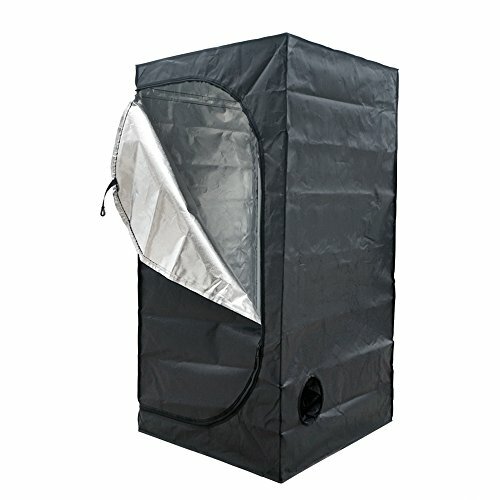 A great option with all the options and features other Grow Tents on this list offer. Also look at Apollo Horticulture if you want some great quality cheap Grow Tent kits. 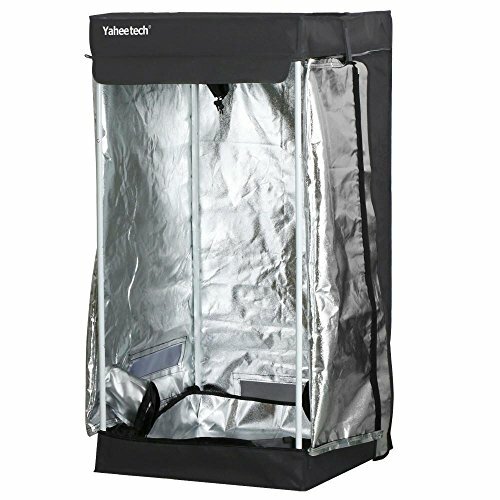 For the cheapest Grow Tent, you’re going to want to select Yaheetech’s 24"x24"x48". This is a great Grow Tent for growing just about any plant, and it comes in with the lowest price on this list. However, if you can extend your budget then you are definitely going to want to invest in the VIVOSUN Horticulture 48"x24"x60". You really will notice a difference and the customer support offered by Vivosun is brilliant. If you’re looking for more irregular shapes, then the AV Prime Inc. 48"x24"x60" is probably your best option. Whatever you chose, it’s always best to make sure you know the requirements for extra equipment. Check what fans, lights and filters can be installed, and make sure you don’t get caught out by a cheap Grow Tent which requires a lot of DIY before you can add anything extra to it. Happy growing!